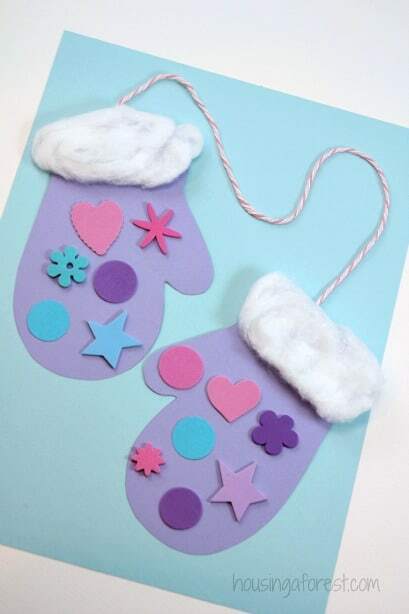 Winter crafts are a hot topic in the online world and for good reason. Many kids and their caregivers are stuck inside, looking for ways to meaningfully pass the time. 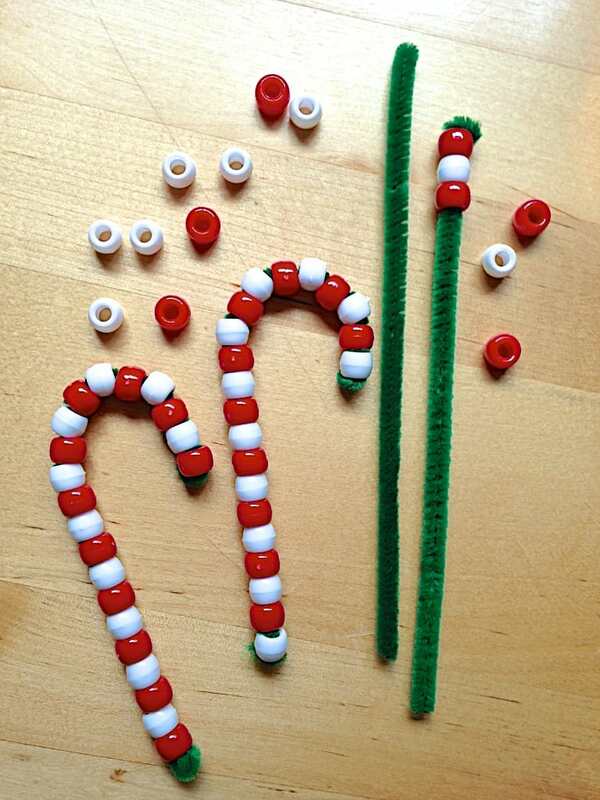 Cold weather crafts are also great for developing fine motor skills and improving children’s writing skills. 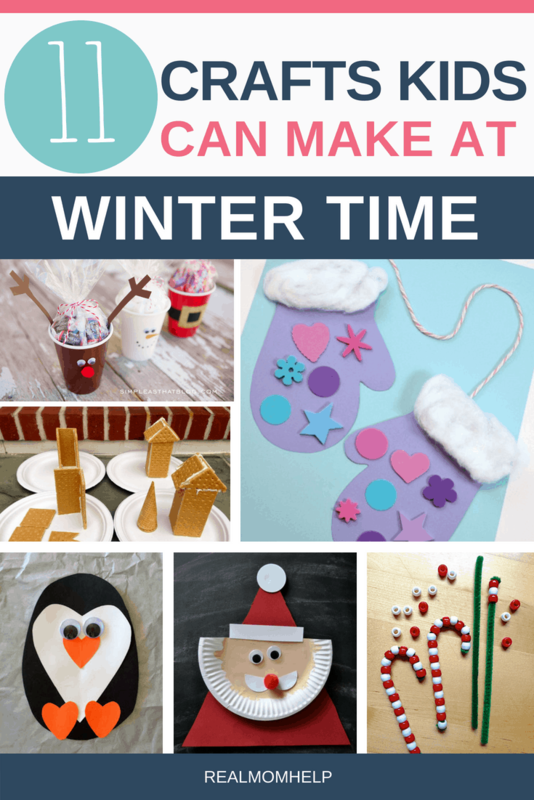 Winter crafts are also great for teaching certain concepts, such as water turning into ice when it freezes, or for providing an opportunity to learn about penguins, polar bears and other animals that live in cold climates. If you have been reading this blog for a while, you know that I don’t exactly heart crafts. I find them messy and annoying. I am not particularly good at them. Despite this fact, I do try making crafts. I promise. Just the other day we went for a walk and gathered gorgeous colored leaves with the purpose of trying one of the activities from my Thanksgiving crafts for kids post. Several days later, the leaves dried before I was even able to get to them. Go figure. On most days, the options for crafts look like stickers, stamps, an art jar or drawing and if I feel very fancy, paint. It’s good for me to plan simple crafts from time to time because my kids are always delighted. With a carefully selected list of winter crafts, I can start an activity with my kids, know exactly what to do, have the simple supplies on hand and be successful in completing the craft. 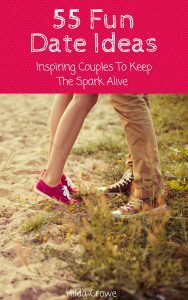 The other reason I created this list is for those of you who are already awesome at doing arts and crafts and are looking for new ideas. 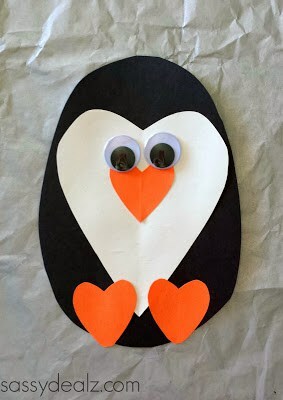 A cute little penguin will decorate your wall after you’re done with this easy craft! You could even make smaller ones to create a whole family. Take the opportunity to borrow books from the library about penguins and complete the craft time with reading. Image credit and tutorial: Live.Craft.Love. What a creative way to use cotton pads! My kids already love playing with them and always steal from my make-up drawer. Now they can have their own bag and play with it too. 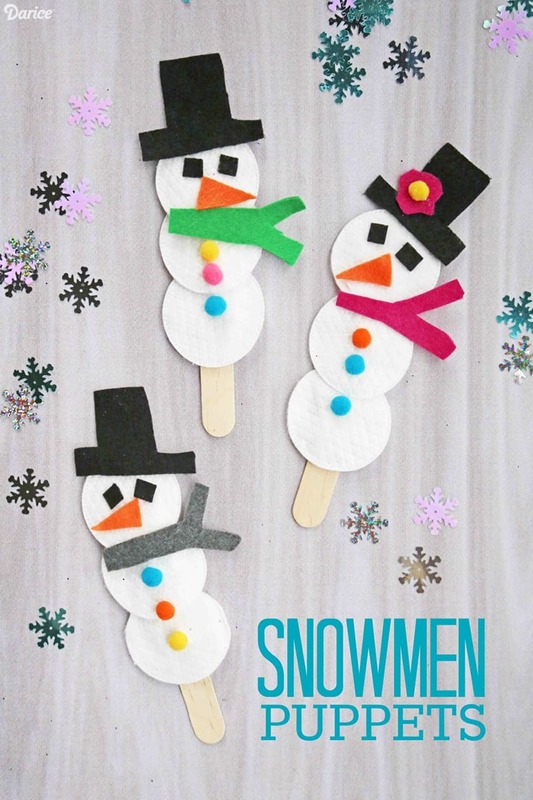 You can put these snowmen together in any style you please by using felt, pom poms and craft sticks. Image credit and tutorial: Heart Crafty Things. This one looks easy enough, yet I think we all agree it’s adorable! Come to think of it, gluing the Santas on plain gift bags would make awesome Christmas gift bags. Image credit and video tutorial: It’s Always Autumn. Even if your kids cannot cut patterns this well yet, they will find it fascinating to create a snowflake from a piece of round paper. 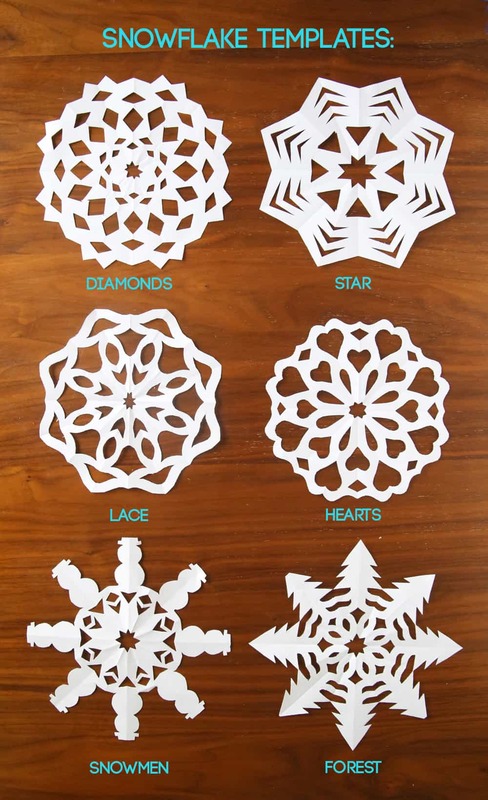 Last year, my daughter went crazy with these, and just cut the holes as her little heart desired and turned out some pretty amazing snowflakes. Don’t spend too much time worrying if your family’s patterns aren’t as intricate as these. Practice those fine motor skills and have some fun while you do it. Image credit and tutorial: Simple As That. 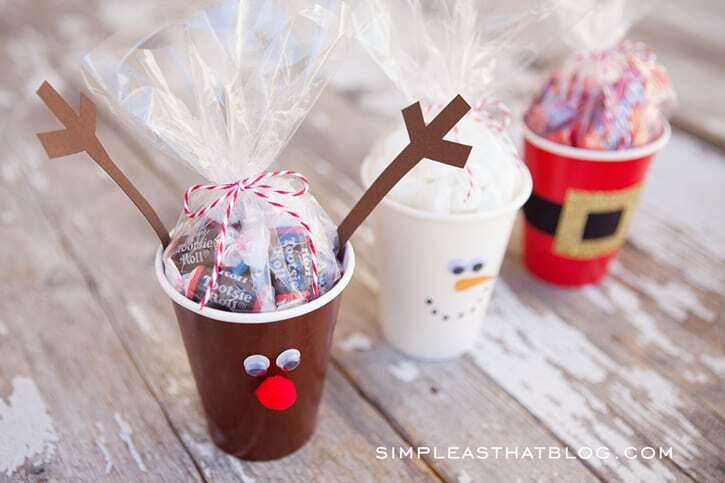 Not only do these cute Christmas cups hold goodies to decorate your home, they also make great gifts. Fill with a hot cocoa mix and marshmallows, a honey bear and tea bags or an assortment of Christmas cookies and fun-size candies. You could even place extras on the kids’ Christmas table for decor (and dessert). Image credit and tutorial: Housing a Forest. This is such a cute idea, I fell in love with it instantly. Plus, my daughter had a pair of purple little mittens when she was 2 and it brought back memories. Melting, right?? I love this easy wonter craft, though I don’t think I would break out the paint just for the eyes and mouth. Good ol’ markers will do. This craft would go nicely with a Frozen themed family movie night. Image credit and tutorial: Princess Pinky Girl. This is THE project my teenage stepdaughter would love. If you have older kids, they could do it by themselves. For younger ones, adult supervision is required with baking and all, but the craft itself isn’t too difficult. This would also be a good excuse to buy those awesome silicone pan liners I have been dying to own. Plus, uhm candy! Image credit and tutorial: Fountain Avenue Kitchen. I haven’t met a kid yet who doesn’t love messing with itty-bitty beads.Not sure if it’s the sensory experience or just another way to figure out how long our patience lasts, but they love beads. This would be a perfect craft during the baby’s naptime, cause they love (to eat) beads too. Image credit and tutorial: Life’s Carousel. My friend, Sasha, however, is the queen of slime-making and this recipe is from her. If you’re into slime, you may want to try her other slime recipes too. I’d much rather spend time creating something that’s actually tasty and not full of things I cannot pronounce. And I like to choose the kind of candy I use, too. I’m high maintenance like that. 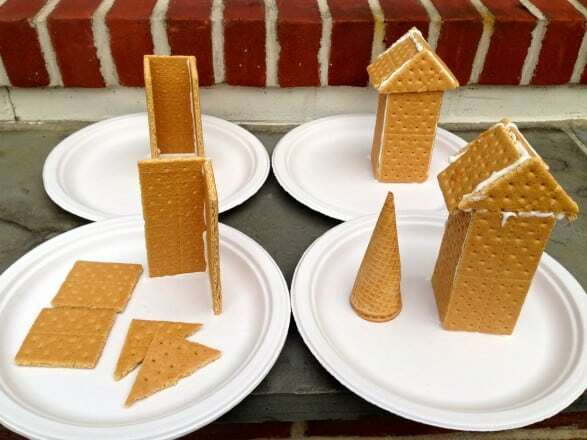 So we are totally making these graham cracker houses this year. Click the link above to look at the finished product! 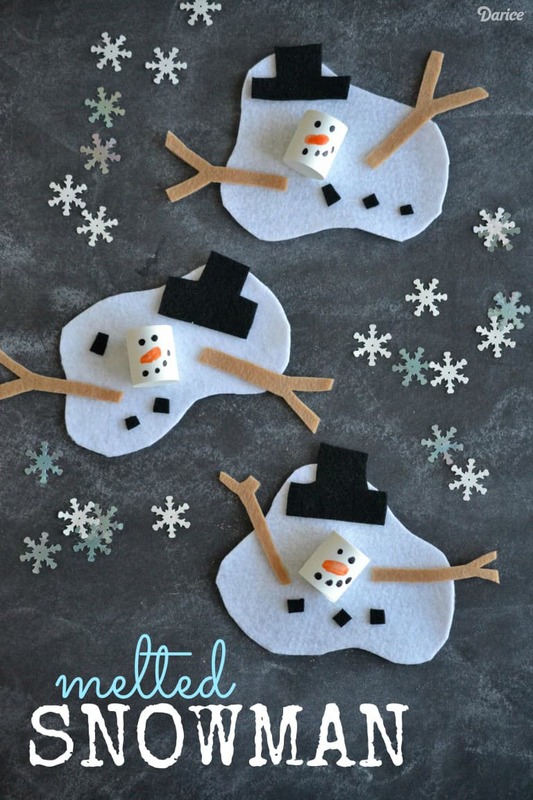 I loved searching for these winter crafts ideas and sharing them with you. 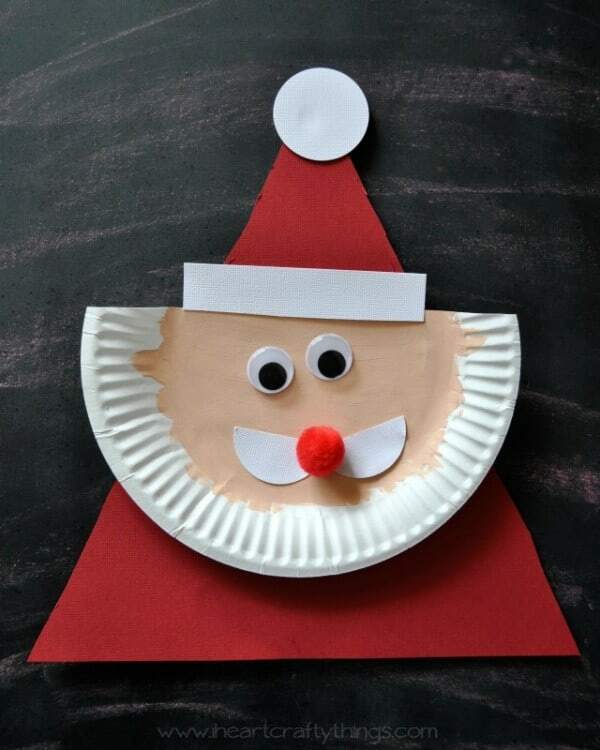 I am excited to have a plan now when I want to do winter crafts with my kids. Quality time above all! If you want more Christmasy stuff, check out these DIY Christmas Decor Ideas. 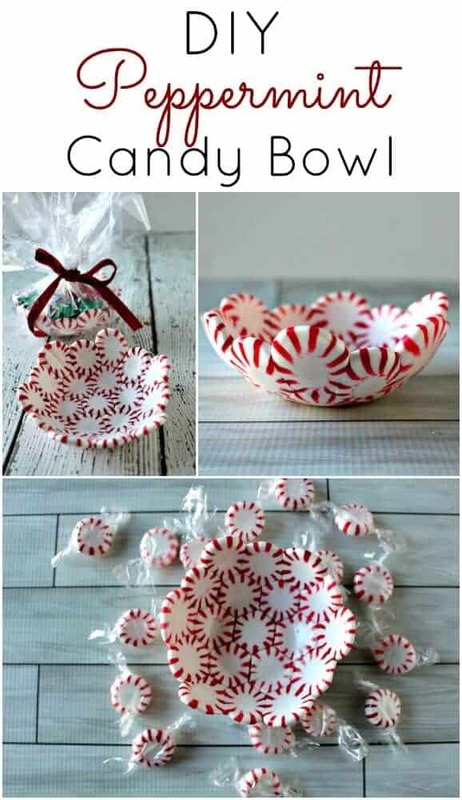 If you liked this post on Easy Winter Crafts, please share it!